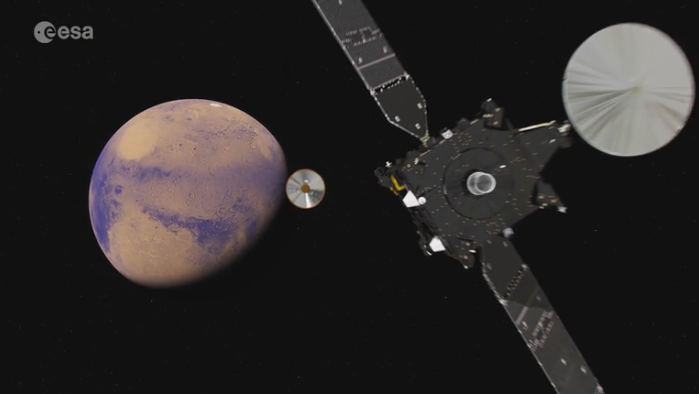 Read about the ESA-Roscosmos mission to Mars (article). The first of two, actually. The Proton-M rocket lifted off today from Baikonur. With an orbiter and descent craft, they will test equipment, measure rare gases and electric fields. In mid-October, the two vessels will separate and begin their distinct missions. The orbiter uses Canadian hardware: the communication antenna subsystem built by MDA.